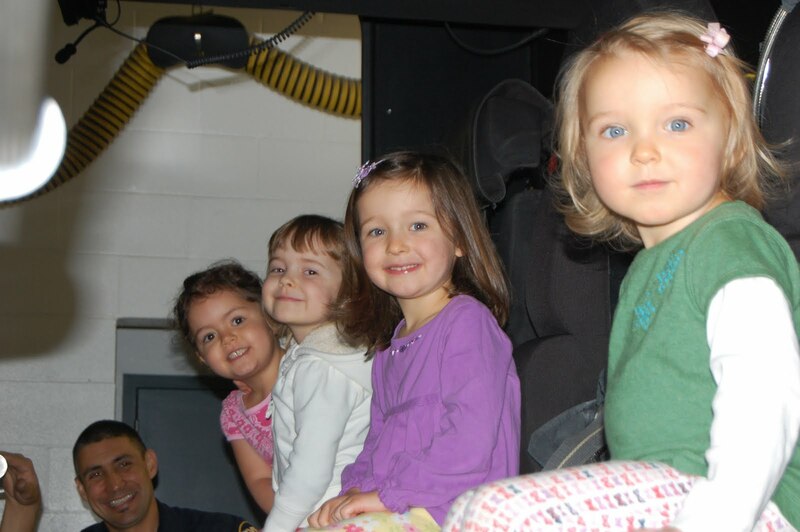 Back in June as part of our home-school preschool safety unit, we took a field trip to the local fire station. 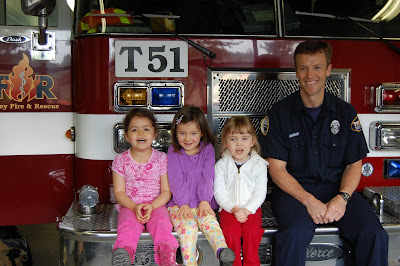 Firefighter Peter (above) and Firefighter Donovan gave us a tour. You never know what your kids are going to do when they go to a new place or encounter a new situation, but I should have at least been prepared for Daphne wanting to talk a lot. It's her default when excited. She barely let the fire fighters get a word in. Here she is in action, no doubt informing them of some important safety rule, or possibly just telling a completely unrelated story about herself. James didn't want to get in. Again, no surprise there. Probably the most important piece of the morning was having the kids watch Firefighter Donovan get all suited up, so that if the kids ever encounter a firefighter trying to rescue them, they won't hide in fear. What a great story! You should publish it!